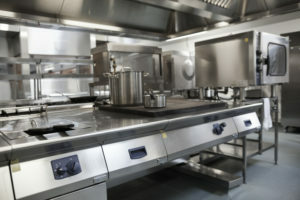 Did you know that your commercial kitchen’s flue is one of the most important parts of your set up? No matter how big or small your kitchen may be, the flue plays an essential role in keeping your whole system working efficiently and safely. That being said, plenty of people mistakenly neglect their commercial kitchen’s flue — with disastrous results. Neglecting to have your flue thoroughly cleaned on a regular basis makes your entire system run less efficiently – and it can even be dangerous. In dirty flues, grease will build up and eventually, a flash fire could result. Consequently, the fire department will have to be called, your business may have to shut down (costing you valuable income), and you may even have to replace some parts of your commercial kitchen (further hurting your bottom line). Now that you know how key flue cleaning is for your commercial kitchen, we at Flue Steam would like to educate you on the types of flue cleaning available to you. Partner with Flue Steam and you’ll never have to worry about your flue being properly clean on a regular basis again. Flue cleaning is accomplished through hand scraping and steam cleaning. We recommend signing up for both hand scraping and steam cleaning services on a consistent schedule. Hand scraping involves simply scraping the built-up grease off the fans, hoods, ducts, and any other area of your exhaust system that’s accessible. Steam cleaning, on the other hand, is more expensive, but it’s also more thorough. During steam cleaning, hot, pressurized water effectively removed built-up grease. Many businesses sign up for monthly steam cleaning and steam cleaning 2-4 times per year. We’re not like some other flue cleaning companies that don’t clean your flue thoroughly. We strive to reach every inch and crevice of your exhaust system. We even provide “Certificate of Performance” stickers after each job as proof that you have fulfilled your NFPA code obligations. These stickers keep inspectors satisfied, plus they can even help lower your insurance bills. Every time we come to clean your flue, we’ll also be happy to inspect your exhaust fan. We’ll check the belts and other parts and grease the fan bearings. If your belts happen to be worn out and you have a replacement on hand, we’ll gladly install them for you at no additional charge. It’s just one more way we make sure your exhaust system works as well as possible for as long as possible. Ready to establish your partnership with Flue Steam? We’d love to work with you! Add your business to our ever-growing list of clients today by calling 800-700-FLUE. We look forward to hearing from you and meeting your flue cleaning needs.